Camilo Palacio is a successful business owner, author and real estate investor who is passionate about helping motivated people create financial freedom so they have time to create and live the life they’ve always wanted through real estate investing. 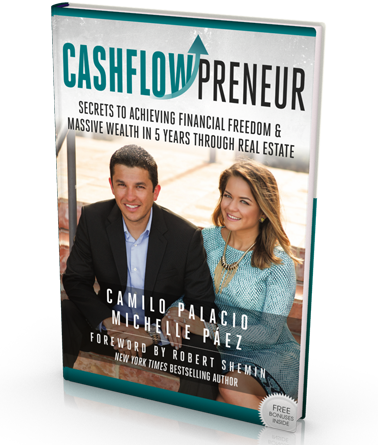 The owner of Cash Flow Properties™, creator of Cash Flow Properties Academy™, and author of the book CashFlowPreneur™, Camilo is passionate about helping his clients experience life on their own terms through real estate wealth building strategies. 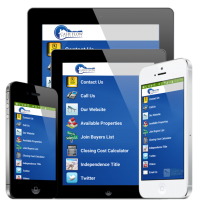 In the past years, he has helped hundreds of people find lucrative real estate opportunities in South Florida, has closed over five hundred transactions and guided others to create monthly passive income and huge profits through rental properties and rehab/flip properties. Camilo enjoys working directly with seasoned real estate investors by guiding them through specific real estate transactions, as well as helping the beginner investor learn more about how to get into the market. His Cash Flow Properties Academy and his book CashFlowPreneur were specifically created to help new investors understand and experience success quickly and easily, regardless of their current financial situation, credit or previous property ownership. A graduate of Florida International University and a Licensed Coach, Trainer and Mentor, Camilo is the author of the book “CashFlowPreneur, Become Financially Free Through Real Estate” which has been released since April 2017. He is also a popular blogger, speaker, and podcaster. In 2016 he launched Cash Flow Properties Academy™, a program that teaches people how to acquire, flip, rent or wholesale real estate properties for high returns.